Well, I stayed in the bidding up to nearly $30, but it's now up to $125 which is too rich for my blood. 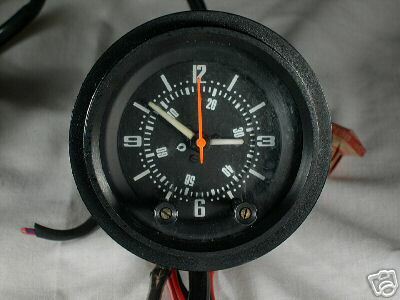 There's a nice looking Rally Clock on ebay and I don't think the seller knew what he had and is probably delightfully surprised about how much his clock and two gauges are going for. I've already got one of these clocks, so if you're looking for one and have more cash than you know what to do with, you might check this out. Do it soon, though, as time is flying and the auction ends in less than an hour. I thought I might get another one on the cheap in case the untested one I have doesn't work. This one has the seperate oscillator unit which according to past forum discussions are missing on some people's clocks. Good luck. I also was it in for a bit but I was hoping no one would see what it was,:tapemouth but I guess I am not the only one who searches on ebay all day to , was really a kew deal considering it had part it needed to make it work , but still alot for untested . Yes, I bid the first day and it seemed like no one else was going to bid it up and then wham it started to skyrocket. I think I bought mine off ebay for about $57 and felt like I did something crazy, especially considering the millions of other more important things that need to be done on my car. They look pretty cool and I'm hoping mine works when I finally get it all hooked up. I talked to a guy who fixes the regular clocks and he said he'd love to work on it if it doesn't work, I don't know if he means for free or what. I'm glad I'm not the only one that spends far too much time searching ebay for that once in a lifetime deal -- however, I think those are few and far between nowdays. We could probably get much better deals deciding what we want and putting an ad in the wanted section of the classifieds on this site. When I have something to sell I try to offer it here first, altho I prefer the ease of people paying with PayPal rather than having to deal with checks and money orders. And, if the person doesn't follow thru on ebay you can threaten the buyer with negative/neutral feedback. I love ebay when it come to buying and selling z stuff because you normally deal with a select group of people that truly enjoy their cars and understand the same about you , but on the other hand I also deal with other import parts and for the most part they are all good buyers but I find the younger buyers bid without concern some other people feel you should jump through hoops of fire like a small poodle for them , rarely do I deal with anyone that doesn't take paypal , mainly because I am covered as a buyer , I have read too many times on , I think its Zcar.com about scammers that list stuff take money and don't ship or never had the item. I would only sell to members of this webclub only because I wouldn't feel comfortable otherwise. Dam! dam,dam, dam I would pay well over 125 for just the rally clock oscillator box (the little box connected to the clock) Shoot! I've been looking for that for a while. It must have been a short auction. It was a regular seven day auction, I just didn't point it out until it went way beyond what I wanted to pay and figured someone here might want to bid. Unfortunately I didn't notice it was so close to ending (1 hour) until I posted it here today. I was going to add it always makes me shake my head when something like a Z Therapy Video goes for 10 bucks more than they cost new straight from the source. I always want to e-mail the bidders and say something, but figure it's none of my business and who am I to ruin someone else's auction. Of couse this just makes me frustrated when I am trying to get a deal and it goes for well over the new price. However, I do try and help sellers when they have some misinformation in their auction and they could better tell prospective bidders what they have available (that is, if I don't plan on bidding myself). 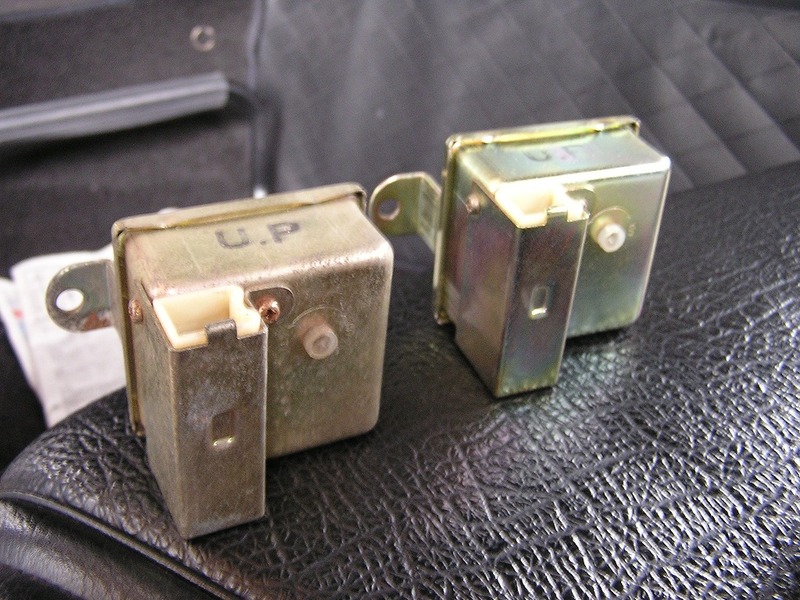 Helped on a recent Early '69-'71 center console advertised as a console for an automatic instead. I'm no expert, but I hate to see obvious mistakes. These clocks show up every now and then on ebay. I bought mine early last year. Since mine was for a 1974-78 I did not need the oscillating box. Hey victor, you should have ebay email you everytime a rally clock comes online. 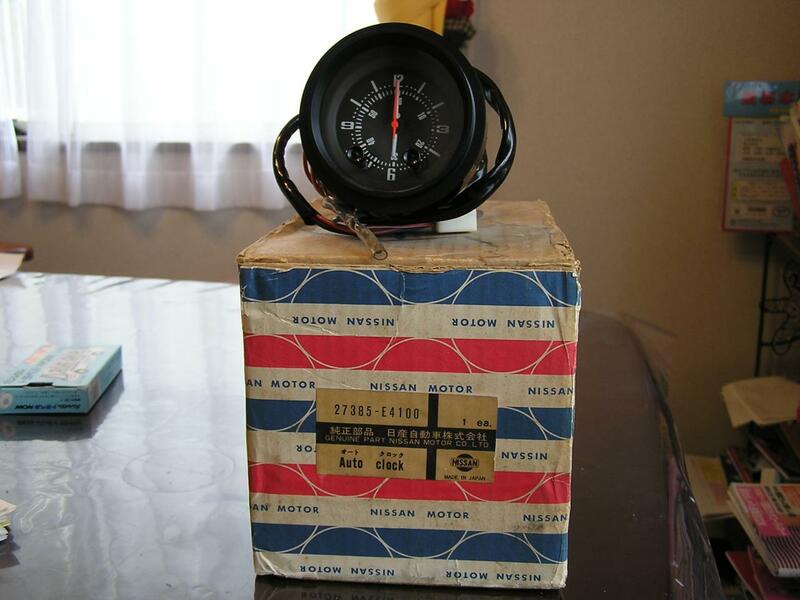 Just put it the keywords datsun rally clock in titles and descriptions, and for 90 days you will get a notification everytime an auction contains those words at no charge. I do that for watanabe wheels and it works out great, except no wheels:cry: . Anyways, good luck on finding the box. You have been looking for it since I joined this forum. That is a while. Originally posted by GaryZ240 However, I do try and help sellers when they have some misinformation in their auction and they could better tell prospective bidders what they have available (that is, if I don't plan on bidding myself). I give unknowledgeable sellers extra info when I see it too. I saw a speedometer there the other day that the guy didn't know what year it was from. Well, since it started at 20 mph, it was obviously from an early 240Z, so I told him that and he added the info to his add, as a "somebody told me" comment. The crazy thing went for over $50! Somebody must have wanted an early speedo. Thanks ben for the good idea! 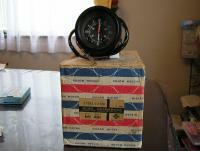 Yea, before I discovered this site, I had the clock, but not the box that makes it work! I know there have been lengthy discussions on the rally clock in past threads, but I must have missed it. You don't need an oscillating box when you used the 74-78 version? Do they look basically the same as the one from the 70-73? I figure if my oscillator doesn't work I'll still put my early rally clock in, 'cus it just looks "cool," and that's not a word I use too often any more. Now I'll be on the look out for one of the later models as well. Here is a pic of the back. The reason why it does not have a oscillating box is because it does not have the stopwatch function. This clock is considered the calender clock and it was for Fairlady Z's from 74-78. I believe that it was also a datsun competition option found in a catalog of the day. Is this economical crisis there are always people with too much money to spend on nothing!!! Personally i wouldn't make a bid without knowing if it is tested and found okay,it is not serious to answer like that, it takes like 10 minutes to find out, if he have the harness that connect the two parts, if not the buyer have to start looking after one and how hard can that be ? I would steer clear of this one. I agree, it would only take a few minutes for the seller to test it and I can't believe he wouldn't have done so. The price is right out of the ball park now for what should be considered a non-working rally clock. I don't think they are as rare as some sellers would have you think either. Keep your ear to the ground and sooner or later one will come along that the seller will stand behind as working. The oscillator for this one looks like it is rusted quite a bit. Not a good sign either. Yeahr and the funny thing is that things often comes while you least expect it, that is what happened to me, i was out looking after a KM/H speedometer the seller had a rally clock and before i knew off it, it was mine, i found out what it was after i bourght it. I was more interested in seller's comment that the clock came from a Z432 that he used to own here in the US (sold it in 1996 to Germany?). He says it was #31 and it was a 10/69 production car, so that would be PS30-00031? I didn't think they made 31 Z432s that early. Maybe Kats can comment on that. I'll have to check his old thread about the production dates and volumes for 1969. I was more interested in seller's comment that the clock came from a Z432 that he used to own here in the US (sold it in 1996 to Germany?). He says it was #31 and it was a 10/69 production car, so that would be PS30-00031? I didn't think they made 31 Z432s that early. If the car that he took the clock from still exists, then why did he take the clock out, and what went into the hole that it left? Sounds like you know of this seller or this car then? I also wondered why he would have removed it when he sold the car, if it still works. Maybe I'll email the seller and ask him. 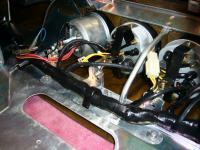 The seller said he swapped it out with a standard clock when the Z432 was sold, then put it in a 240z briefly. Later he swapped out again and kept it. Thank you Alan you are right, in Japan we know the 72 Z432s were produced in 1969. Once I asked to trade my clock with an original Bridgestone superspeed radial-20/ 175 SR 14 here, nobody offered:sleep: I am still looking for an original good tire, but not going to trade with a clock forever. If the car is HLS30-00031 or PS30-00031 or HS30-00031 or S30-00031, either way that will be so wonderful anyway!! I believe the seller is saying that he used to own both a Fairlady Z and a Z432 and he wasn't sure what the VIN prefixes were. I think he is confusing the Fairlady prefix (HS30) with the Z432 prefix (PS30). Do I understand correctly about the oscillator? That the timing mechanism is based on the late sixties technology of the tuning fork? Remember Bulova had a watch with a tuning fork? I have one of those. The tuning fork died and it is no longer repairable. Is this the issue with the oscillators?